Viviparous, the same as the Beadlet. Rocky shores subject to heavy wave action. Local distribution. 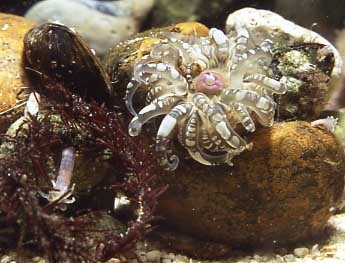 Small mussels are important, consumed in their shells after being bashed off the rocks by waves. South and west of Britain. Eastern limit in English Channel is probably the Dorset shore where it is rare.